The Poly Trio 8800 is a conference room phone for larger conferencing spaces. 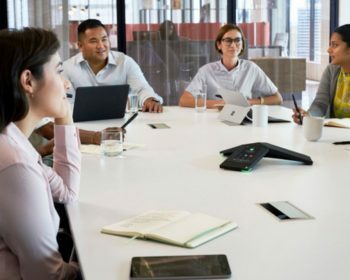 Pairing together Poly’s legendary audio with professional video and content, the Poly Trio 8800 provides stunning sound both within the meeting space, and at the remote end of the conference for both open SIP environments and Skype for Business, Office 365 and Teams environments. Poly is known for it’s legendary audio, and the Poly Trio is no exception. Expect Enhanced HD voice with a 360 degree microphone pickup, exclusive NoiseBlock Technology to eliminate non-speech background noise automatically and exceptional clarity resulting in higher quality conversation with everyone involved. 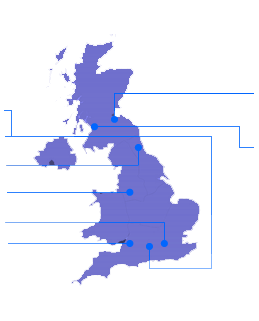 Plus the Poly Trio supports up to 5 participants locally on the phone, without the need for an external audio bridge. 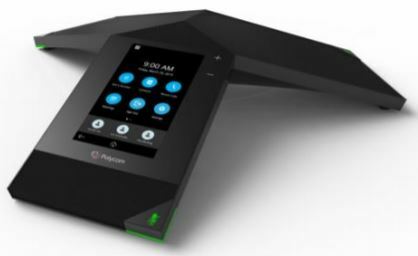 The Poly Trio 8800 connects to the leading Unified Communications platforms around the world today, and is the audio conferencing phone of choice for organisations with a Microsoft Environment. Direct integration with Microsoft Teams, Office 365 and Skype for Business, the Trio 8800 maximises the power of your UC platform and the Microsoft Cloud PBX, and is the only 3PIP certified phone for Skype for Business on-premise and online on the market today. Enhance Microsoft audio in the meeting room with the Poly Trio, without locking yourself into a single platform for the future. Poly Trio 8800 supports Microsoft Exchange calendaring, recognises scheduled Skype for Business meetings and can be configured to recognise other meeting dial-in information patterns e.g. SIP URIs for joining cloud based meeting services including Zoom and BlueJeans. The Poly Trio 8800 is available through Gold Partner VideoCentric and we can discuss options and capabilities for your particular meeting space to ensure the Trio is right for you. Get in touch to find out more about the Trio 8800, our recommended peripherals and connection to solutions such as the Poly Group Series, and to get Poly Trio pricing today.